Strong, Dependable, and Professionally-Crafted. Everything you would come to expect from a product Made in U. S. A. 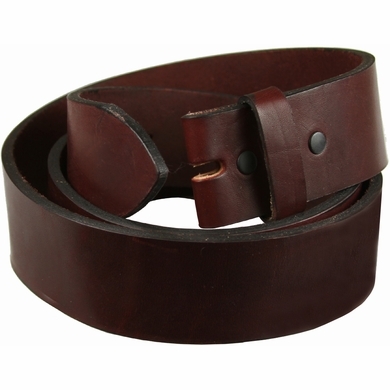 We start with a thick(3/16") cowhide and Hand-Cut each and every belt strap. 3/16" Thick. 7 Holes at tip end. Made in U. S. A. Burgundy-Wine Color 100% Full-Grain Leather.